Ditch the diets once and for all and embrace your wellness journey with the strategies outlined below. Atkins. South Beach. Weight Watchers. Nutrisystem. Low Carb. Low Fat. No Sugar. Plant Based. Gluten Free. Vegan. Macrobiotic. Have you ever felt overwhelmed with all of the nutrition information out there? Maybe you aren’t sure exactly where to start. Perhaps you’re exhausted from constantly obsessing over a number on the scale or the size of the jeans you’re squeezing into. 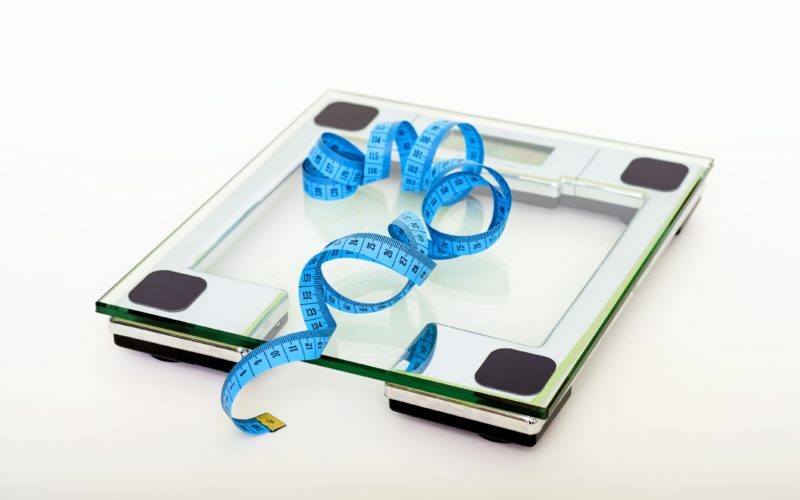 You’re probably wondering how to cut through all of the clutter out there and get the ultimate answer you have been searching for to solve your weight issues, whether real or perceived. The best advice anyone can offer: Ditch the diets once and for all. Yes, you read that right! The concept of bio-individuality teaches us that there is no one size fits all and that we all have unique nutritional needs. We are all different including our metabolism, cell structure, health history, genetic makeup, and perhaps most importantly our lifestyle. What works for one may not work for another. Further, diets die while lifestyles last. The statistics vary by source, but studies have shown that the average American woman may last as few as 7 days on a diet. It is important to note the diets we are referring to in this post are those restrictive plans designed specifically for weight loss, not the diets prescribed by a medical professional or nutritionist to address a specific health issue like Celiac disease. So why do these diets die? There are 3 primary reasons: they are not sustainable, they may cause you to engage in unhealthy behavior, and they usually don’t work. Even if they do “work”, research shows that only 1 in 5 who lose weight on a diet will maintain their weight loss over time. Ditching diets doesn’t mean eating everything in sight. What it does mean is making choices and changes that are sustainable over time and that work for you personally. It’s about taking accountability and ownership of your body and your choices. It’s about recognizing what you eat, drink and do and what impact it has on your body and mind. Perhaps you feel a sense of relief that you no longer need to worry about what the internet, a book, or a commercial is telling you or selling you to eat. But what now? Get clear on your intentions. Whether you want to lose weight, lower your cholesterol, reduce stress, or have more energy, it is important you are clear on what you are trying to do or feel. It may be a number, it may be a way of being or feeling, or it may be a milestone like running a 5K. Answer the following question: what does wellness look like for you? Next, acknowledge why this is important to you. Be specific and be clear. If you want to lose weight, why? If you want to reduce stress, why? Acknowledge that there is more to the story than just food. Food is just one part of wellness. Movement, sleep, relationships, and work all contribute to our stress levels, our mood, our energy, our weight and ultimately our well-being. Take note of what areas in your life are working and in what areas you are struggling and determine what necessary steps you must take in order to create your best life. Be mindful. Beyond being a buzzword, mindfulness is a practice that connects us to the present moment, by bringing our awareness to the here and now. Often times, we rush through the day, from appointment to appointment, drop off to pick up, and everywhere in between. Meanwhile, our minds our running and sometimes in different directions than our bodies. When we are mindful, our mind and body are in one place. So how does this relate to what you eat or how you feel? Mindfulness teaches us to listen to our bodies and to eat when we are hungry, drink when we are thirsty, and sleep when we are tired. Be conscious in making choices that support the intentions you stated above. Focus on what feeds your soul. Often times, we convince ourselves that if we lose weight, we will be happy. What if in fact the opposite was true, that if you are happy you will lose weight? Emotional eating is real, and eating food for comfort when we aren’t happy happens way more than one might think. Figure out what makes you happy, and go do it. Whether it be a pedicure, a day at the beach, curling up on the couch with a good book, or just spending time with a group of great friends, you have the ability to choose happiness every single day, regardless of what is going on around you. If you’re interested in this topic and would like to pursue this further, please join us for our first Wellness Workshop on Sunday, November 19th, 2017 at 11AM. In this interactive workshop, we will explore more about what wellness is, and what it means for you. You will leave with a better understanding of what areas in your life could use a little TLC and empowered to take action to promote positive change. This workshop is FREE and registration is available through MINDBODY. •1 Comment on Ditch the Diets. You Heard That Right!